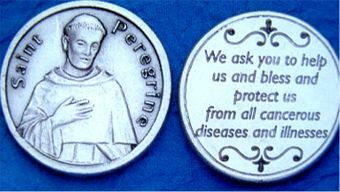 High quality, Italian Made with silver coating. 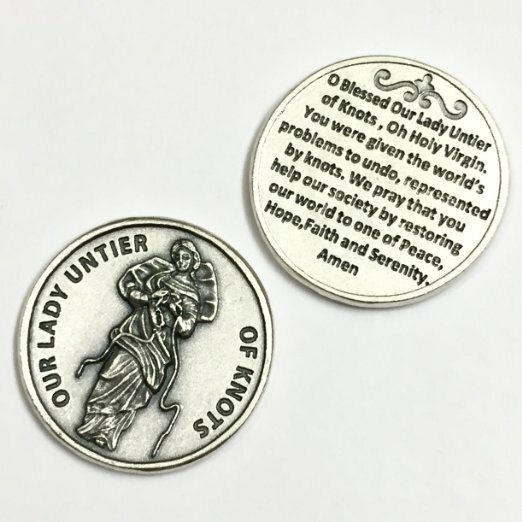 Silver tone coins are heavy and sturdy. 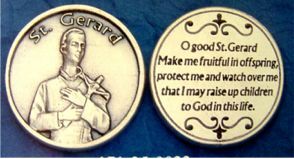 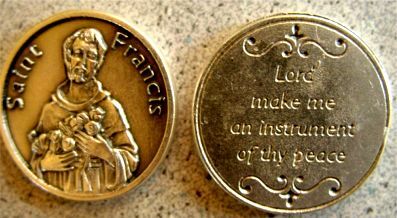 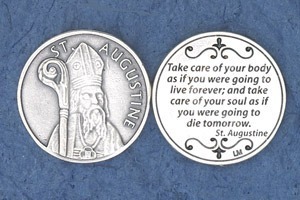 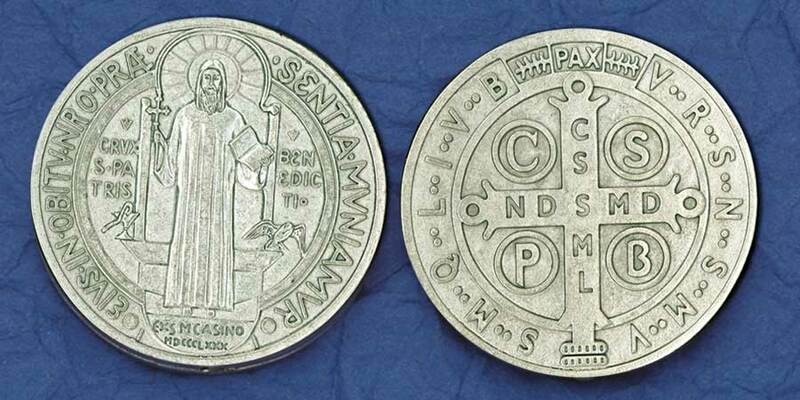 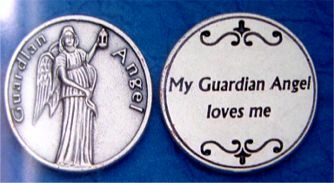 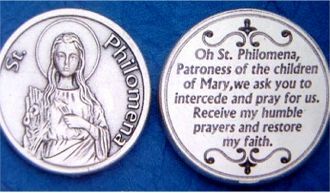 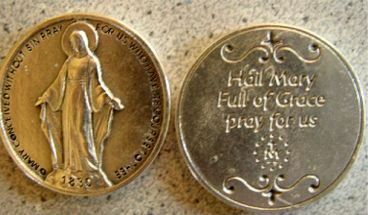 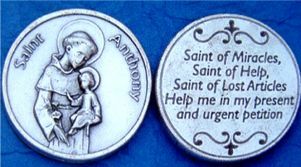 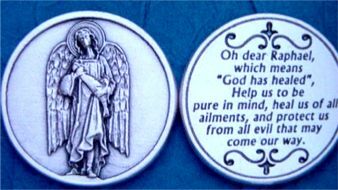 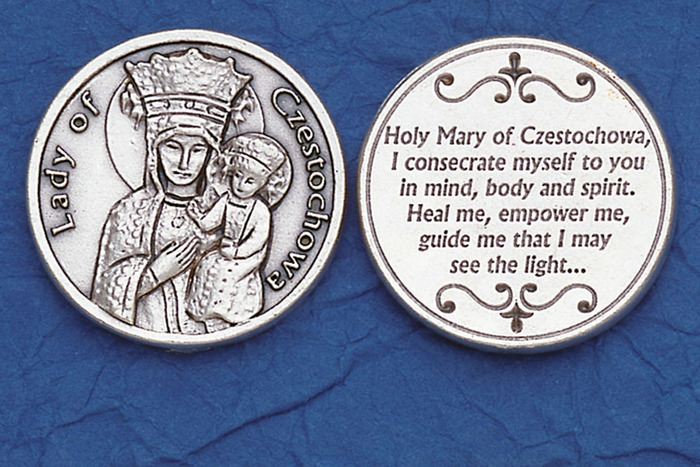 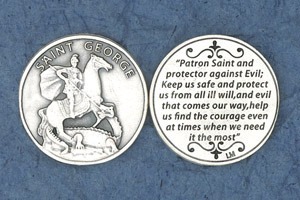 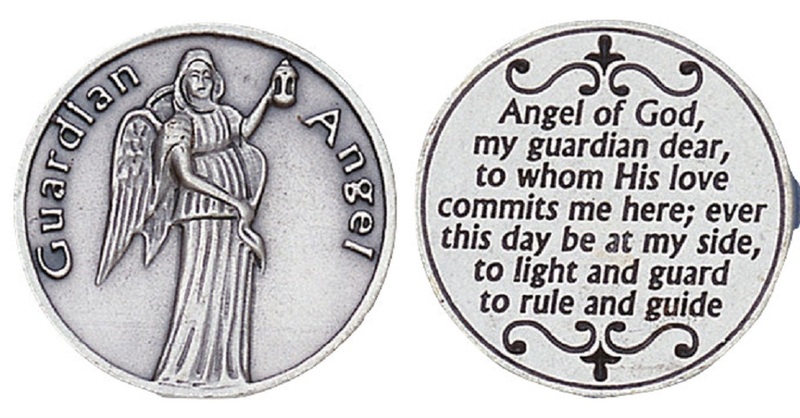 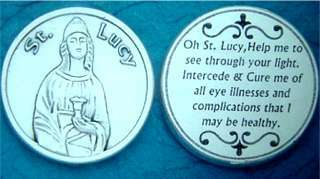 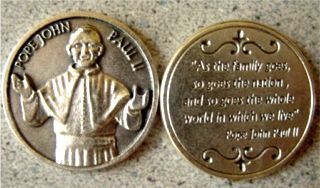 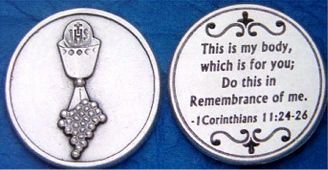 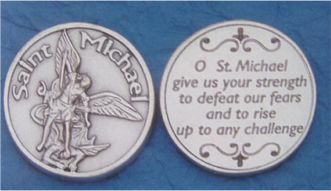 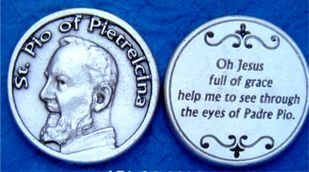 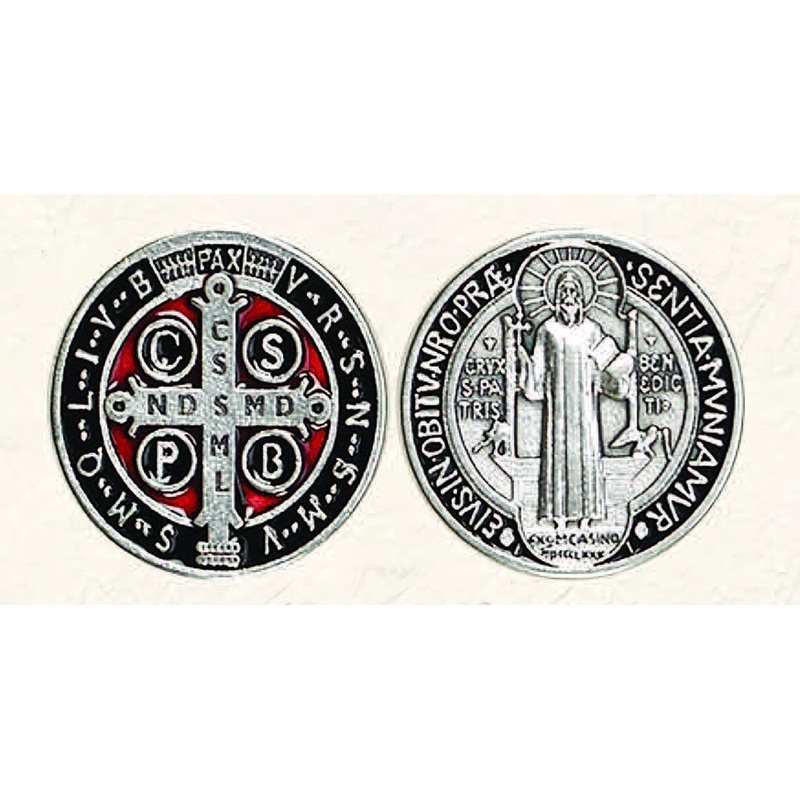 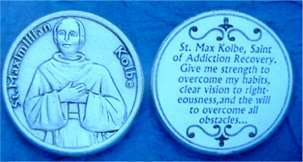 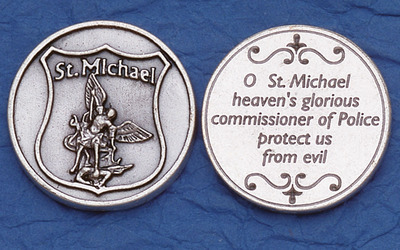 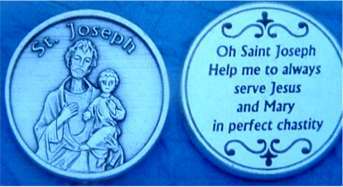 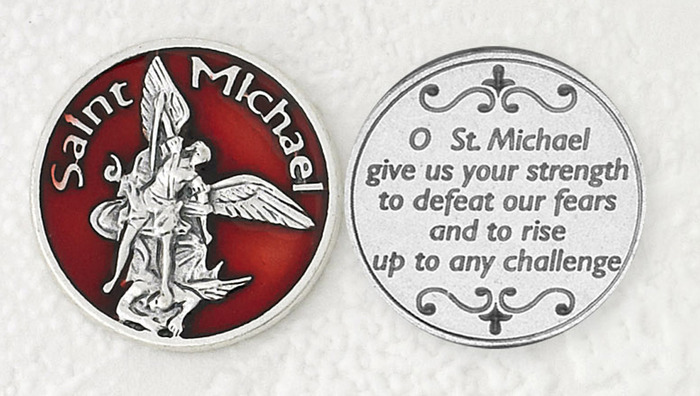 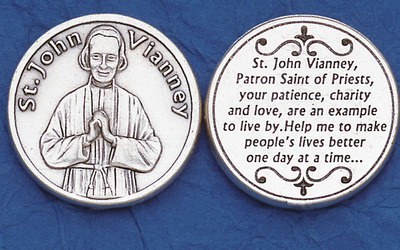 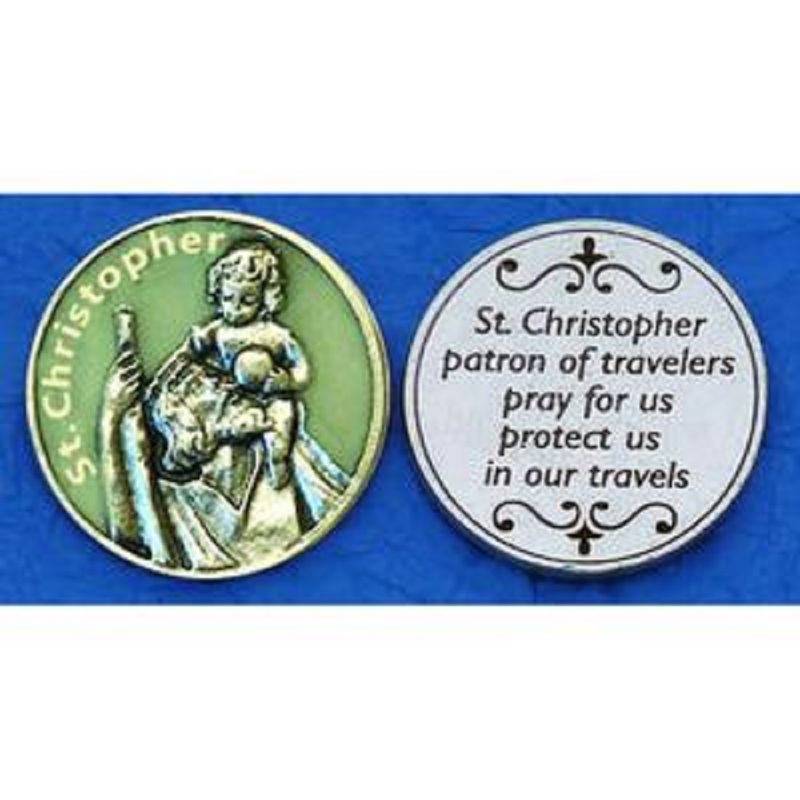 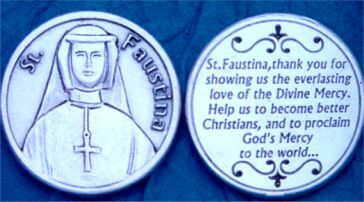 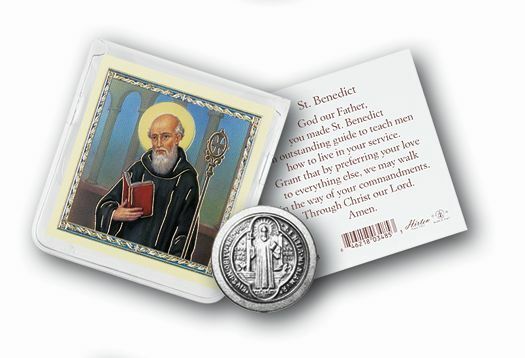 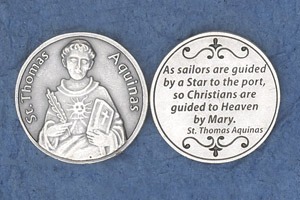 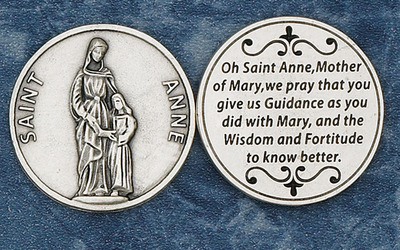 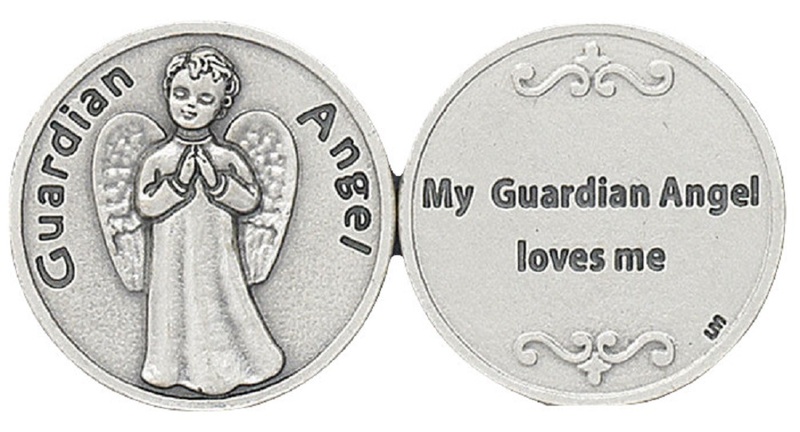 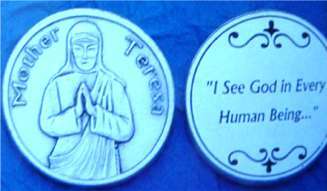 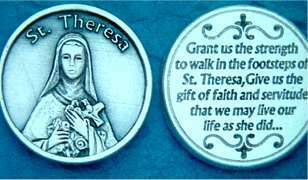 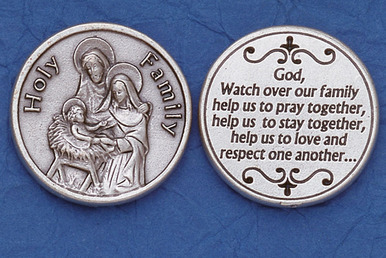 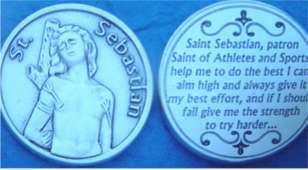 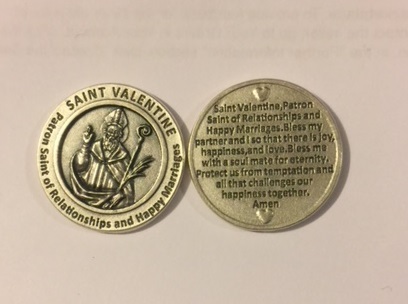 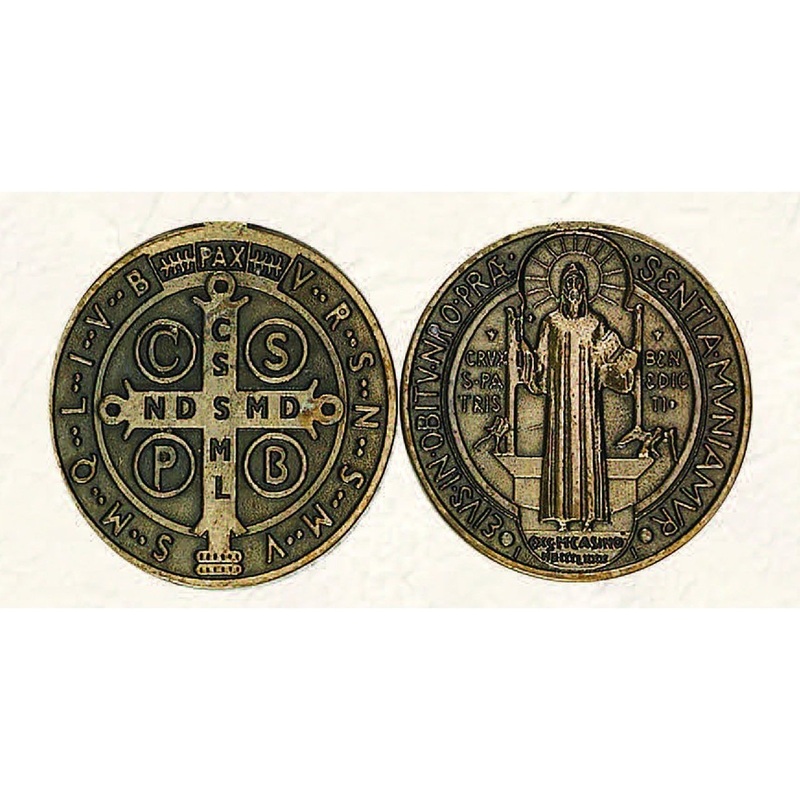 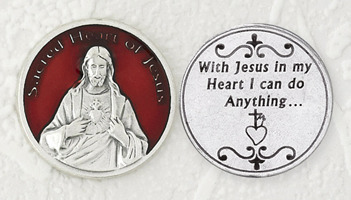 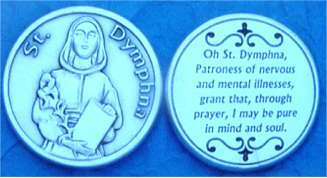 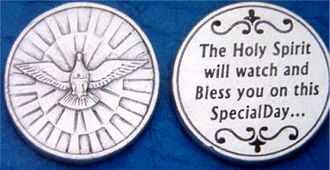 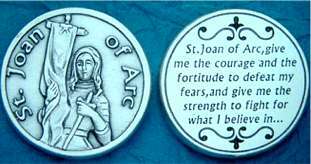 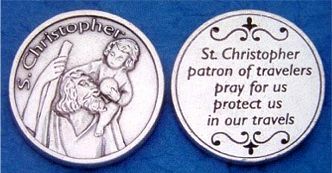 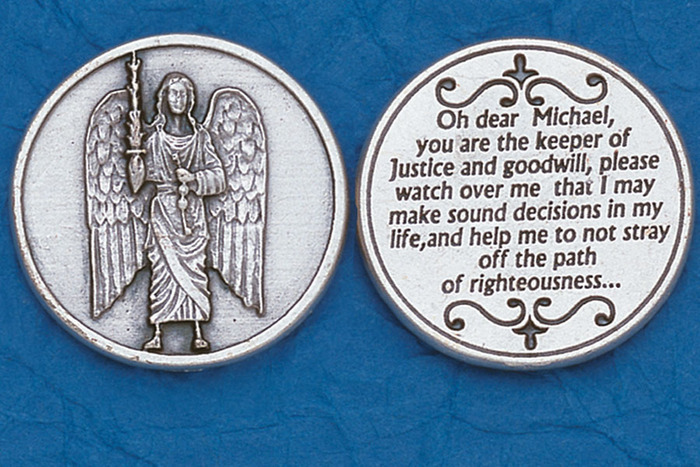 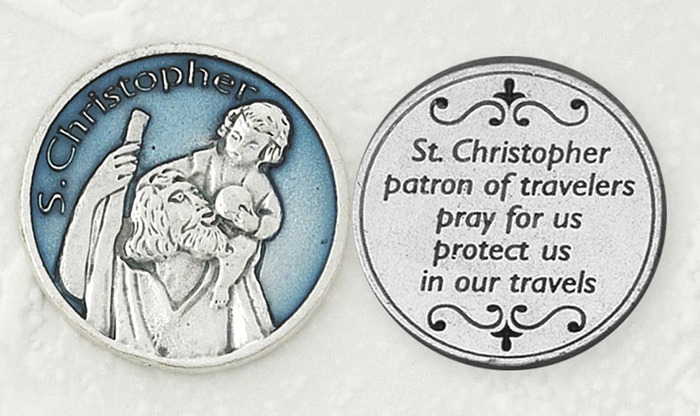 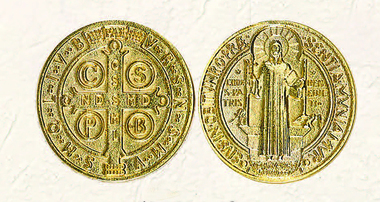 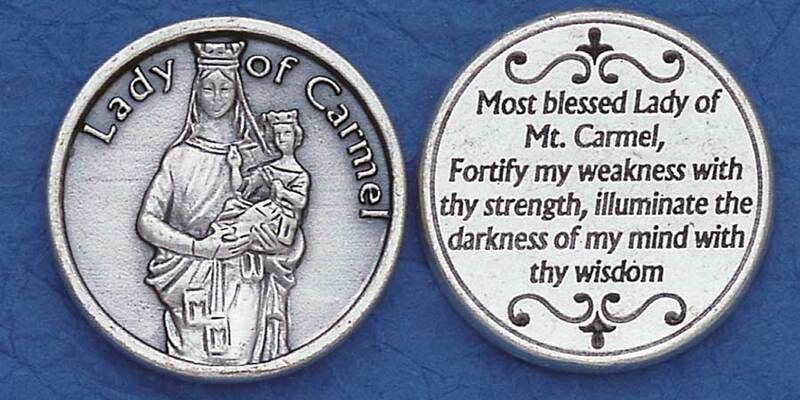 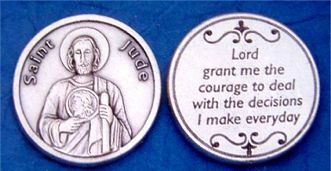 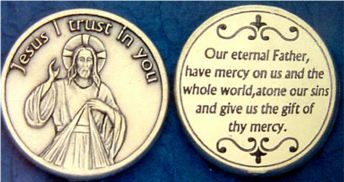 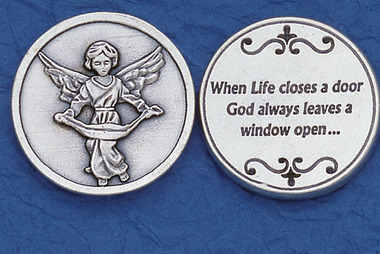 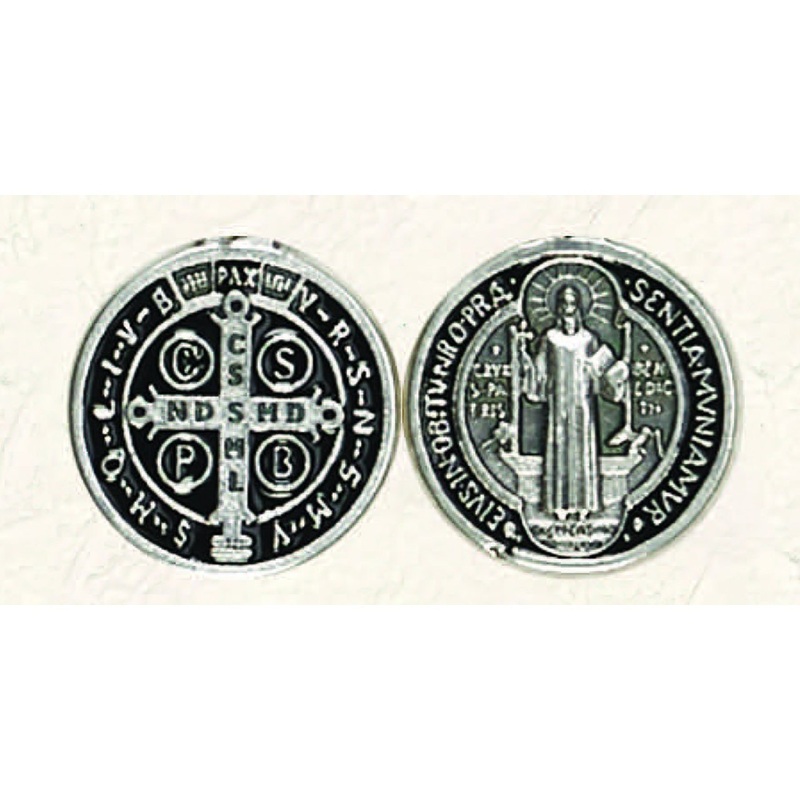 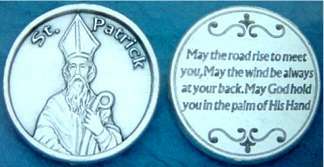 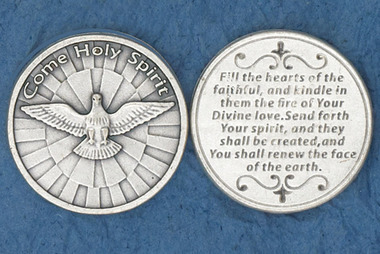 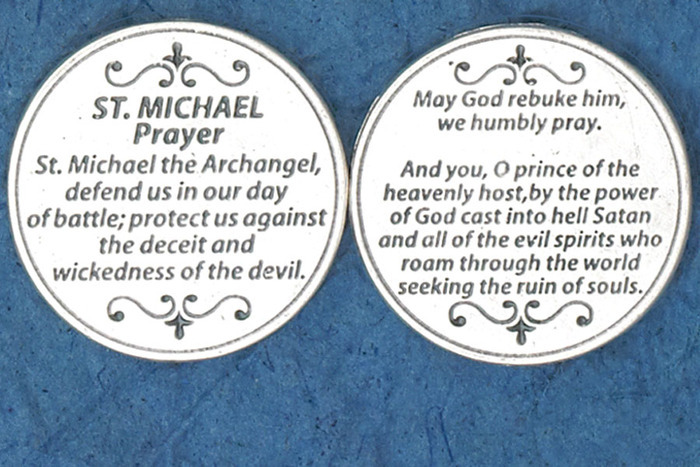 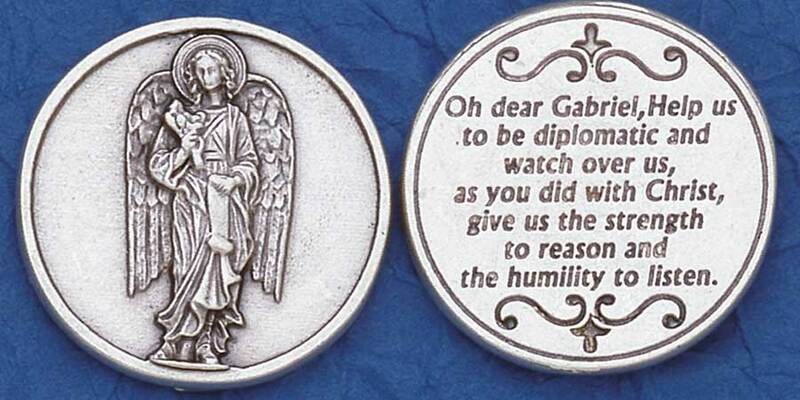 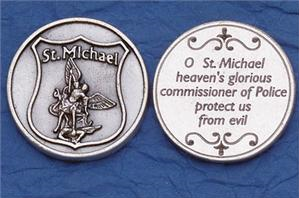 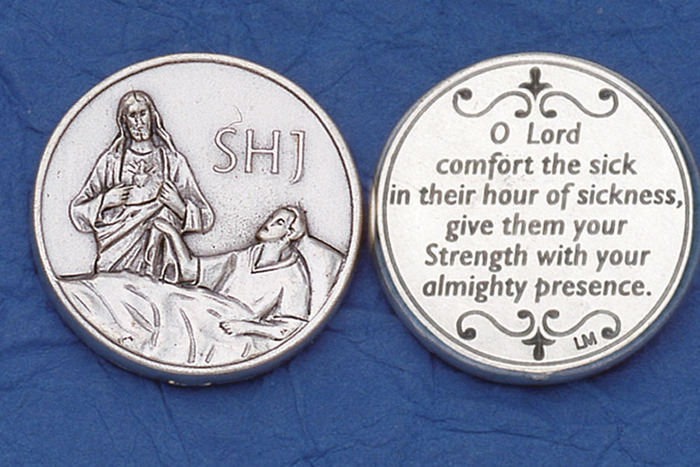 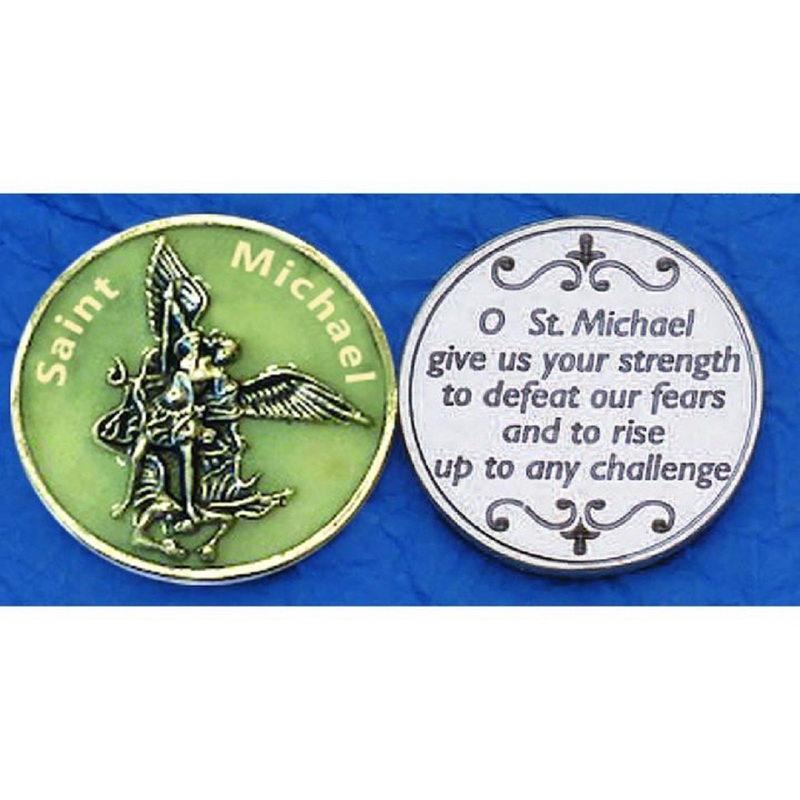 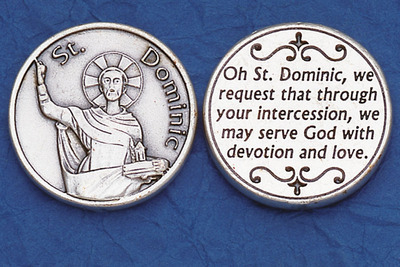 Our beautiful patron saint coins are great for collecting and sharing . 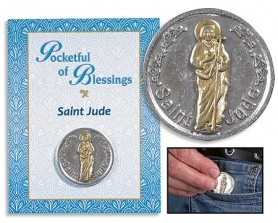 They make a great and inexpensive gift for any occasion. 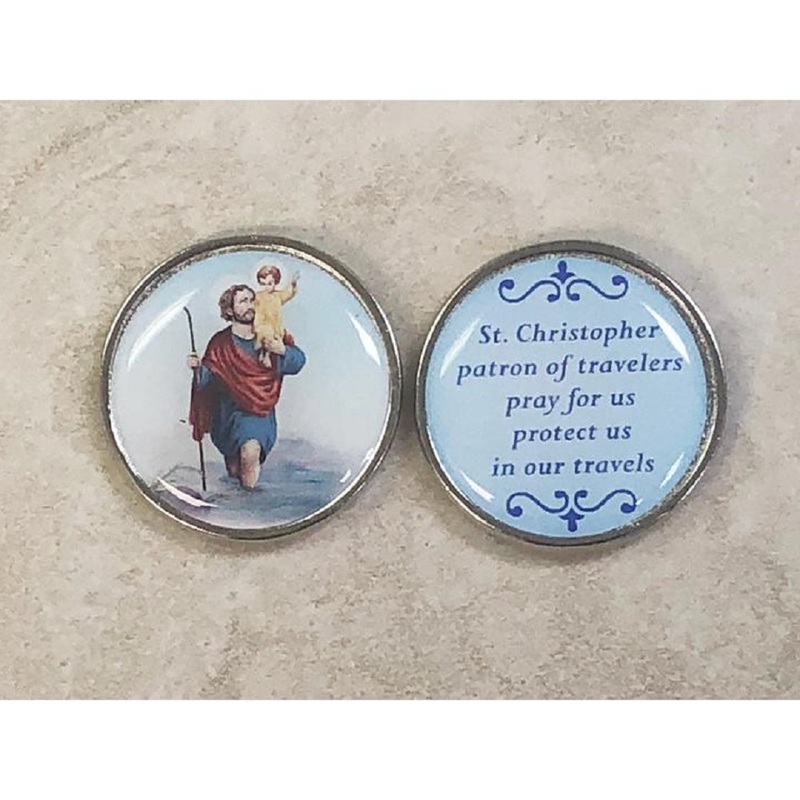 Our Current Selection features many popular saints, including: Guardian Angel, St. Benedict, St. Christopher, St. Jude, St. Michael, St. Philomena, RCIA, First Communion and Confirmation, St. Francis, Miraculous Medal, St. Anthony, St. Pererine, St. Padre Pio - Pope John Paul II, Guadalupe, St. Gerard, Divine Mercy, St. Patrick, St. Therese, St. Lucy, and St. Joan of Arc, St. Sebastian (Sports) , St. Maximillian Kolbe, St. Joseph, St. Dymphna (mental illness) and Blessed Mother Teresa, St. Rita (impossible causes)! 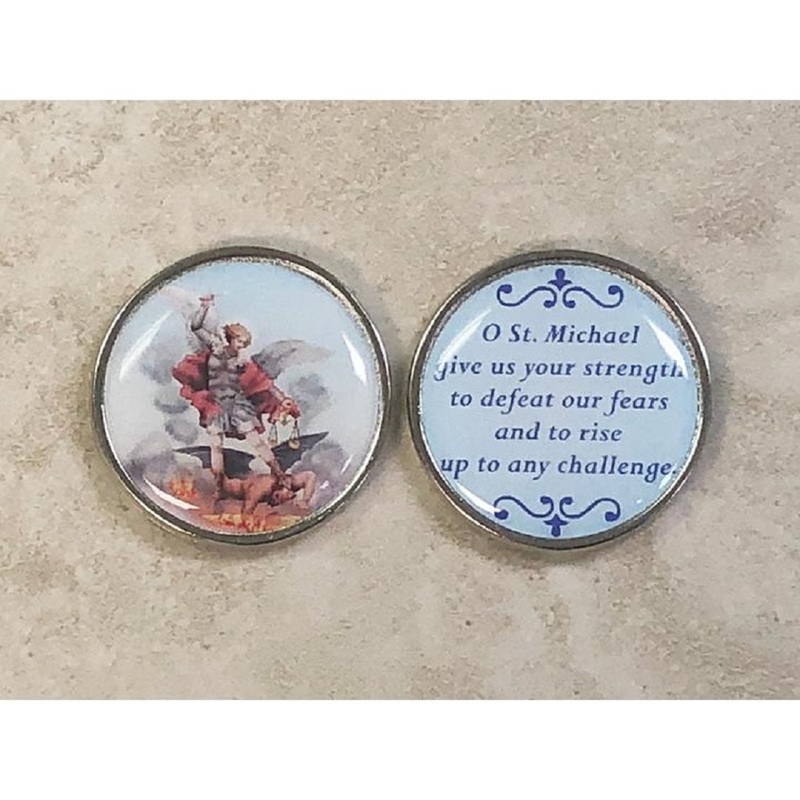 St. Faustina (Divine Mercy Devotion), St. Raphael the Archangel, St. Catherine of Sienna, St. Agatha (breast cancer), St. Thomas Aquinas ,St. Teresa of Avila, Holy Family, Infant of Prague, St. Clare, St. Florian (Firefighers) If you would like to learn more about any saint featured in this section, please click on the Saints Gallery ay link at the bottom of any page. 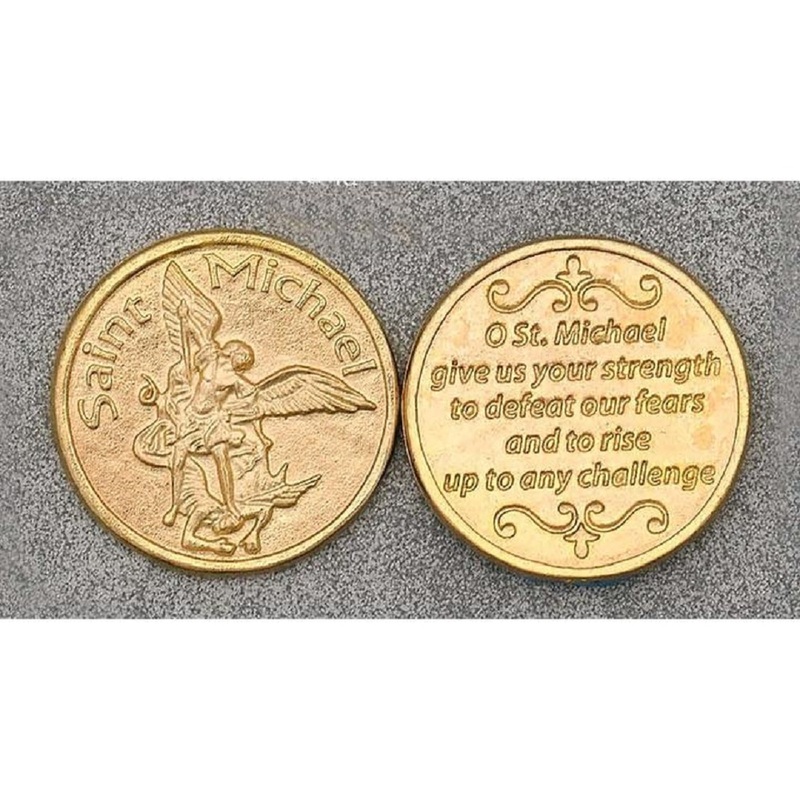 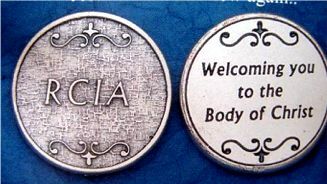 Start here if you are searching for: Saints Coins, St Anthony coin, St Francis coin, St Joseph coin, St Patrick coin, St. Rita coin, St. Raphael coin, saints pocket coins, saints pocket tokens.